Every sports fan has their own list of their favorite sporting events. I’d say the average American sports fan’s list includes the Super Bowl, March Madness and maybe even the World Cup. And while there are many fans of the Olympics, there are not enough. I’m not here to say the Olympics is my favorite sporting event, but the Games are certainly the best sporting event in the world. The Olympic Games transcend sports. They are as political as they are athletic. Every time I hear the “Star Spangled Banner” play (and let’s get real, it plays a lot), I get emotional knowing that I live in the greatest country on Earth. The Olympics are a time for fellow citizens to drop any professional sports rivalry in the name of patriotism. But even more than that, the Olympics are just fun to watch. There are so many different sports so everyone can pick and choose what they want to see. Personally, I am a fan of basketball, track and swimming, but I watch whatever is on TV because competition is competition. What’s more exciting that watching LeBron and Co. take Angola or some other small country to school? Nothing. The Olympics can turn a person from a nobody to a celebrity in a matter of weeks. I don’t know the first thing about gymnastics, but I sure know that Shawn Johnson and Nastia Liukin are good at it. 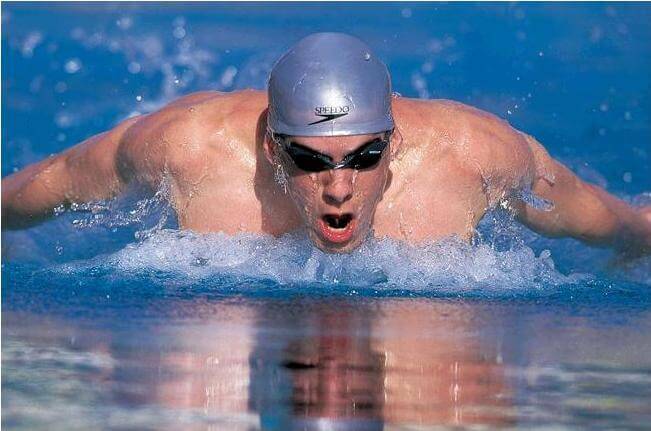 Swimming isn’t usually the most popular of sports, but take an athletic freak like Michael Phelps and you have yourself a worldwide phenomenon. I love the spectacle of the Games. The opening ceremony and the lighting of the torch give me Goosebumps, just knowing what is to come. I have no sense of whether I am in the minority or not. I just know that I love the Summer Olympics and they only come around every four years. I will be glued to the TV for a month straight, and I hope you will be too.